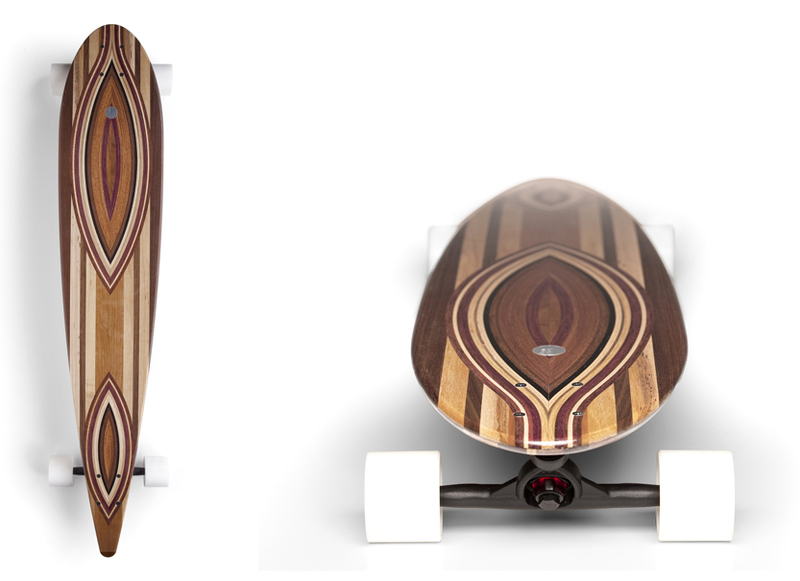 Loyal Dean Longboards. Hand Crafted Wooden Beauty. A life time ago I was an avid skateboarder. I spent hours at the skate park and on the streets honing my skills on a variety of 4 wheeled planks. Back in the 80’s the trend was for shorter wider boards designed to be ridden in pools and half pipes. The long boards of the 60’s had given way to a new style of riding. 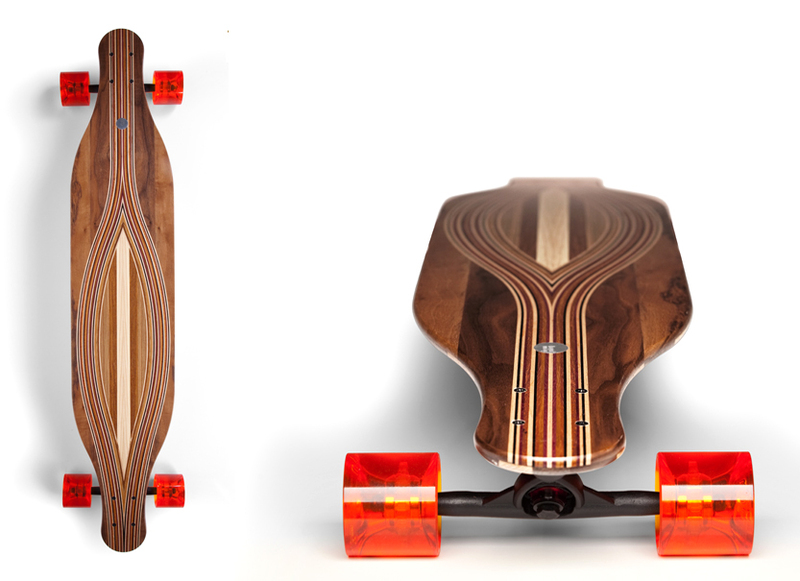 Longboarding is making a serious comeback though, and if you are going to take it up, you might as well do it in style. 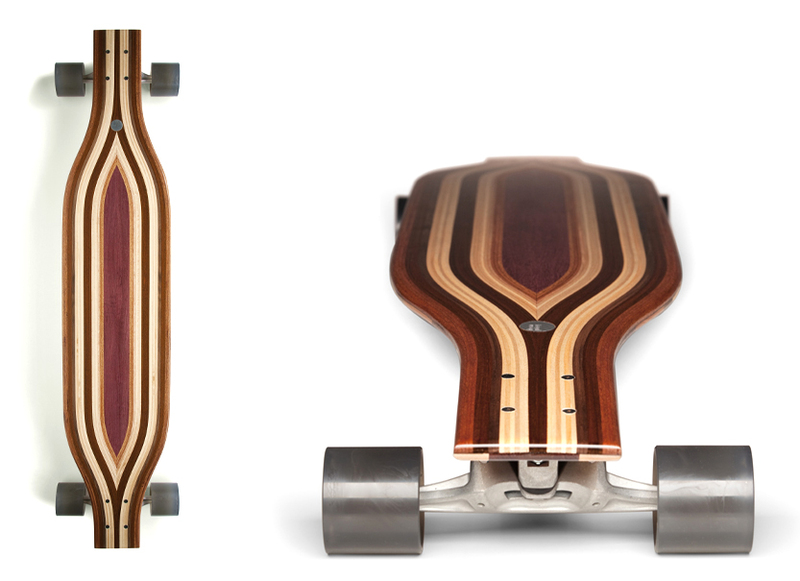 Loyal Dean makes hand crafted longboards from recycled Oak, Maple, Cherry, Mahogany, Bubinga and Teak. The design team has over 25 years of experience and it shows. The boards echo the look of old school surf boards and the longboards of yesteryear. The line consists of four decks that range in price from $360.00 to $400.00. A price that seems pretty fair for a hand crafted original from California. Posted in Design and Art, Pure Fun. 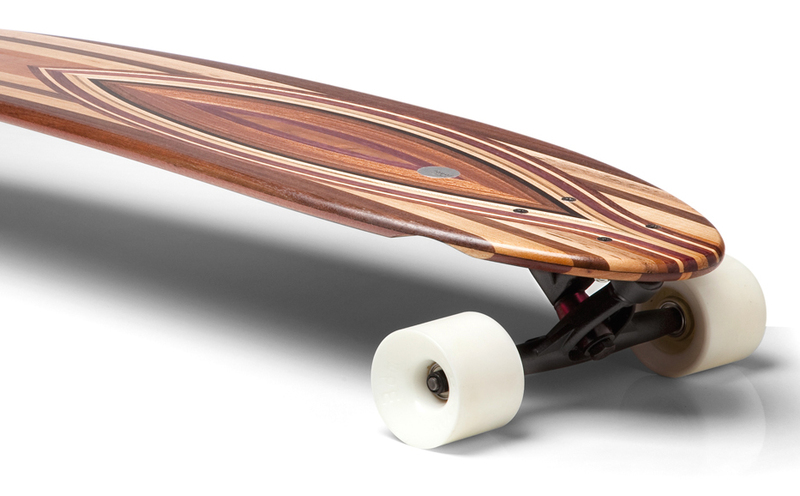 and tagged Bubinga, Long Board, Longboards, Loyal Dean, Mahogany, Skateboarding, Skateboards, Surfboard, Surfing, Teak, Woodworking on February 17, 2012 by Author. ← “Fiestagram” Ford’s European Instagram Campaign.